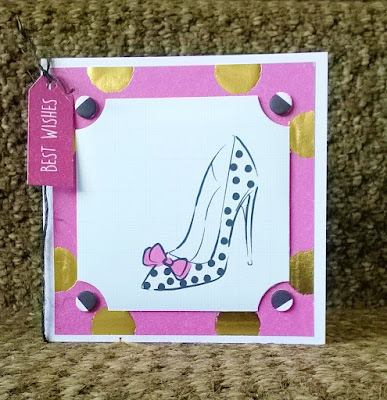 It's Monday and after a busy few days I have had the chance to sit and create for my own pleasure. 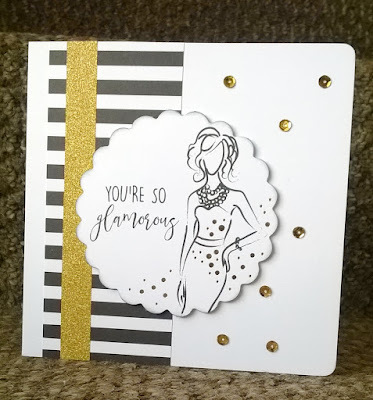 I took Craftwork cards newest release, some basic supplies; Sequins, washi tape, twine, distress ink and a few black pearls and this is what I created in a couple of hours. 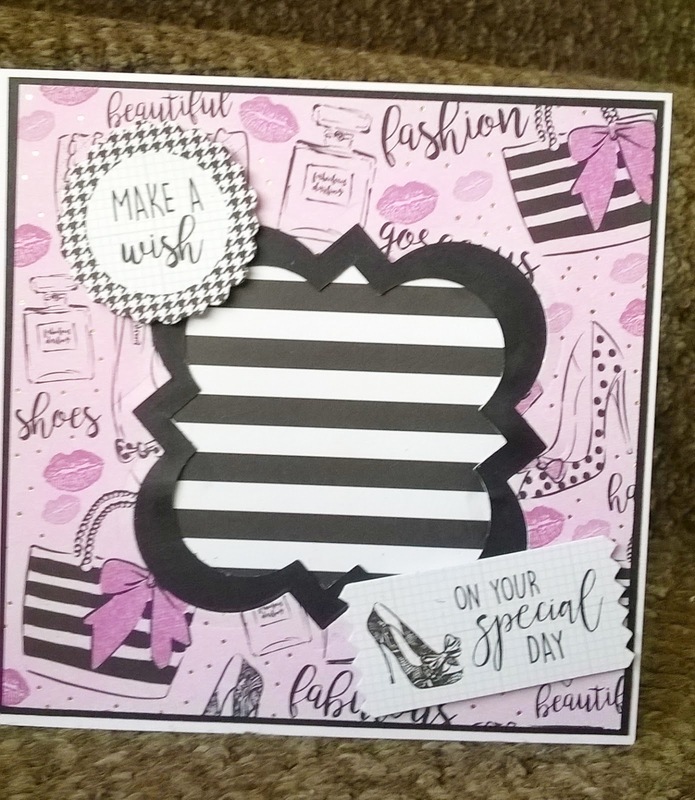 This first card is a little 5"x 5" everything apart from the twine came in the kit. This I think is my favorite card a strip of paper which was an off cut from another cards, some sequins, washi tape and a topper, quick, easy and chic. This card was a little more involved, the lady on the front was part of a 8" x 8" paper, I rough cut it, glued it on to some card and then fussy cut. 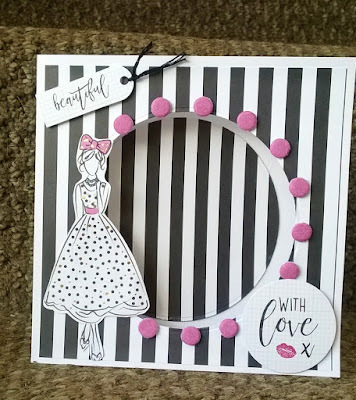 I added some of the stripe paper to the card blank and cut a circle aperture, I then glued the circle back inside the card. 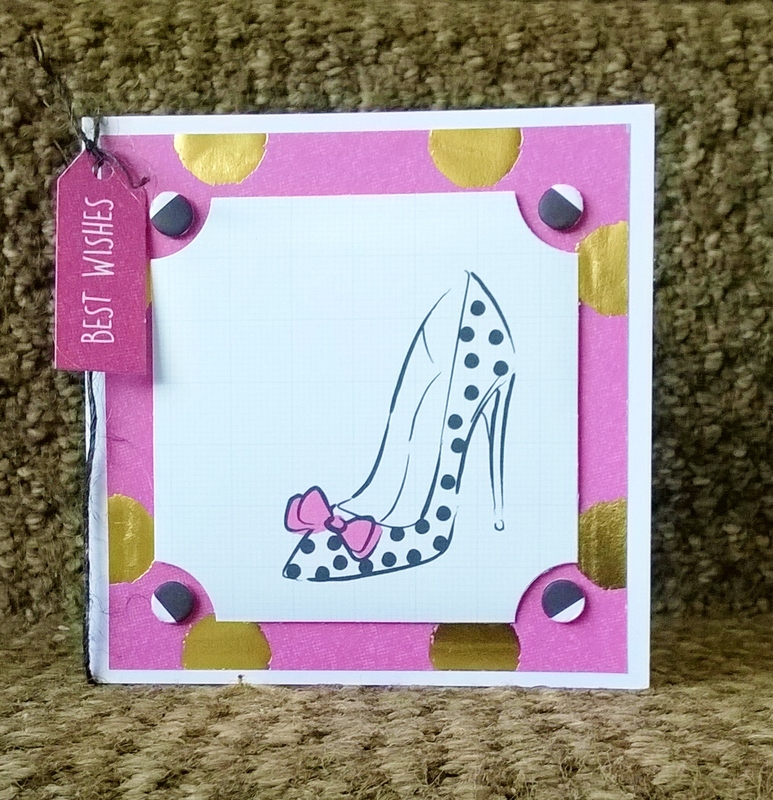 Next I added the Lady to the front and placed a couple of sentiments. I added the pink Candi around the aperture for a hit of colour. 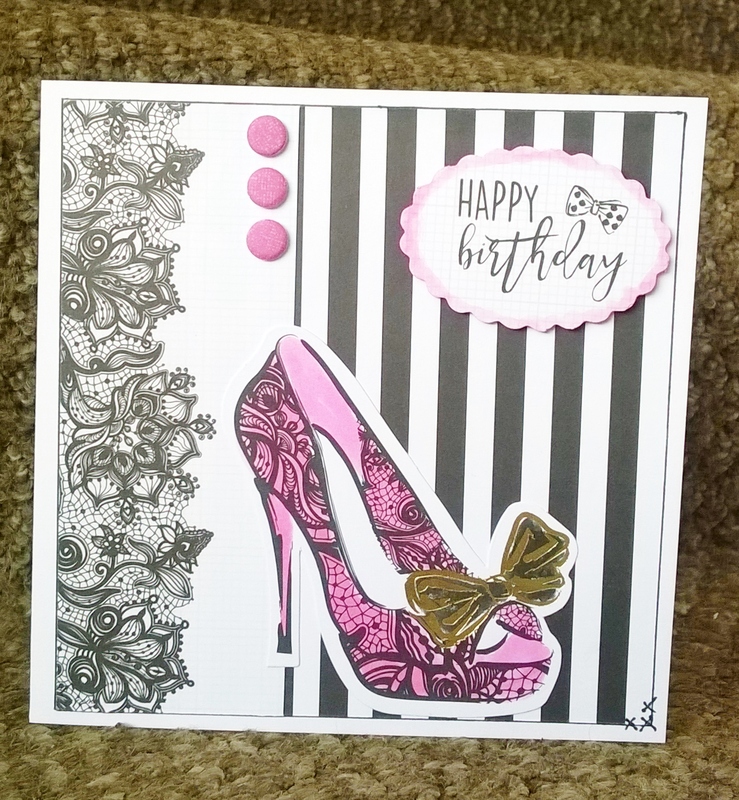 For this card I used one of the Perfume bottle toppers, I added some colour by water colouring with a distress ink pad. 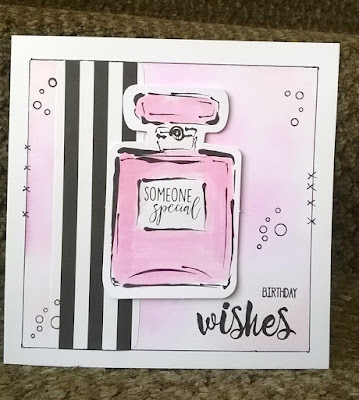 For the background I used distress ink again and added some little bubble/circles here and there. I stamped "Birthday Wishes" in Versafine ink, added a piece of the striped paper and edged the background by running a fine tip black pen around and adding a few crosses to look like stitches. 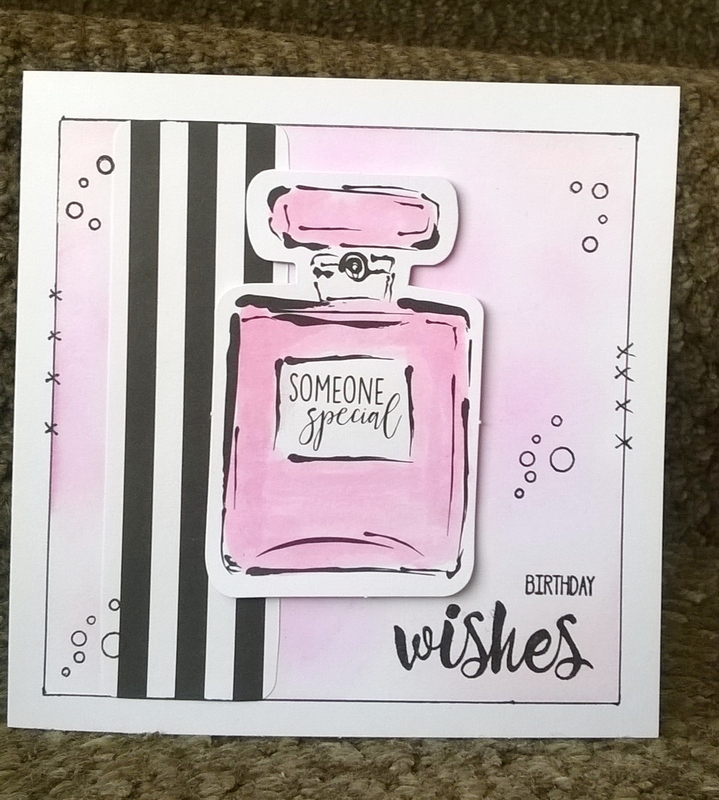 I water coloured one of the shoe stoppers with Distress ink, used a couple of off cuts of paper, 3 candi and a sentiment which I pinked the edges of. 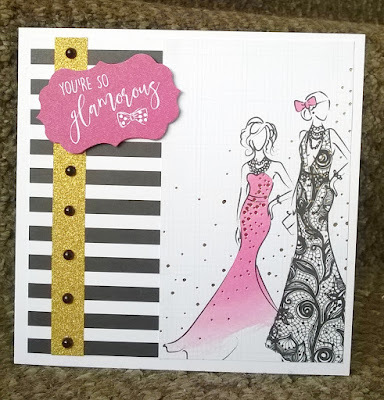 This was the first card I made with the kit, I think the foiling and artwork are so pretty that I didn't want to overpower them by doing to much. 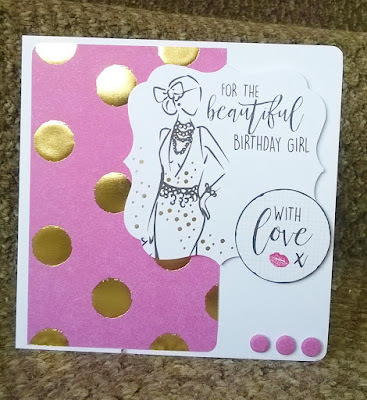 I love the pink and gold together. 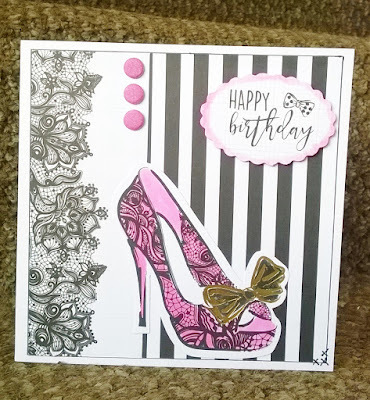 This card combines washi tape, black pearls and papers from the kit. Simple but elegant.